I reckon you guys are making a brave attempt at understanding Sooner or Later but it's very much of it's time - no coherent story but lots of mid 80s Brit-cool tropes - it was mandatory back then to sprinkle every vaguely satirical thing with references to unemployment and job centres - the strip feels incredibly dated now, but the art's great, so that's okay. Oh nooo! I will rectify this ASAP! nah. it's okay, the moment's passed, would be a weird call-back weeks later. If there's something a bunch of middle age (or fast approaching, for those in denial) people do, then it's weird call-backs! 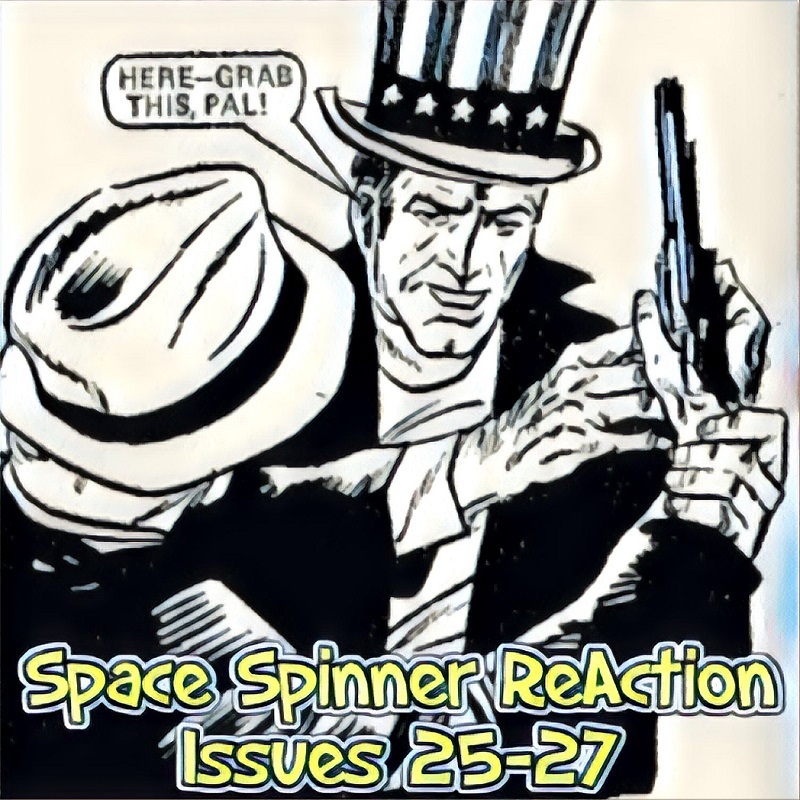 In our action-packed ninth episode Conrad continues the journey through the pages of the infamous classic UK comic with issues 25-27 of Action! This time Dredger deals with American politics, Hookjaw is on TV, Taggart deals with Rico, and Hellman is fighting on the Eastern Front…watch out for vampires! This episode Conrad is joined by Peter Adamson of the Beyond the Soda and Where Eagles Dare podcast! Where Eagles Dare recaps the Eagle comic from the 1980s! If you like our show you’ll love Where Eagles Dare! Thanks Conrad and Peter for another fascinating and entertaining show. The subject of sports comics came up again here. The way I see it is that the sport strips that have been covered in SS2000 over the years were all very much on the fringe of the genre. Roy Of The Rovers was the undisputed king of sports strips and was mostly written by Tom Fully. I am not suggesting you should read it but it was great at the time. There were long story arcs across a football season and plenty of lows and disappointments as well as highs and victories. Roy Of The Rovers, Dan Dare and Judge Dredd are probably the biggest names in British juvenile comics. I think Tiger comic was the biggest sporting title around.